On the 22nd of May, 2018, the Selangor Information Technology and E-Commerce Council (SITEC) held its E-Commerce Class on Facebook Marketing at the Selangor Digital Creative Centre (SDCC), drawing 128 attendees to the class. Jason Gan, founder of Tribeup, started the class with a look into the history of ads on Facebook, noting that Facebook has allowed for advertising since it started in 2004. However, he also projected that advertising costs this year will increase, at least by 40%, due to the large amounts of people every year moving towards Facebook marketing, with higher and higher bids for the limited ad space on Facebook. Gan then discussed the various forms of ads on Facebook, noting that there was not much that can be done to identify the objective of an ad without clicking on it. He then moved on to the aspects that differentiated Facebook marketing from other forms of marketing. Facebook marketing used people-based advertising, which follows the person through the day; has detailed and specific objectives, which help to reach a specific target market, for more effective marketing; has powerful, advanced retargeting, which allows you to continue retargeting a target audience at leisure for a nominal cost; and has powerful analytics and reporting which can aid in retargeting as well as in planning and testing ad campaigns, across a number of platforms, such as Facebook, Instagram, and other websites and mobile apps that serve Facebook ads. This is called the audience network, said Gan. 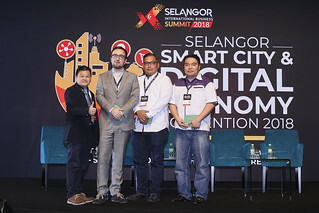 Gan then gave a brief overview of the evolution of e-Commerce in Malaysia, as well as the products market in Malaysia, with the market valued at US$1.07 billion in 2017, and expected to more than double in 2022. Gan cautioned that the landscape evolves very quickly, and that those looking to enter the market have to be prepared to work for success, and not underestimate the market. 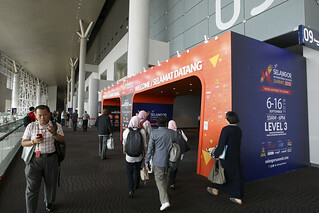 After that, he noted the primary challenges of e-Commerce players in Malaysia, namely: logistics, payment gateways, and marketing, with marketing being the topic addressed in his session. He also noted that there were differences in marketing techniques, depending on whether a business has their own website, or were on a marketplace. Based on Tribeup’s observations, marketplaces are still the main revenue driver of most e-Commerce businesses, but it is difficult to build a database. Customer loyalty is really low as well, and it is also difficult to measure the return on investment (ROI) from advertising, as it is not easy to track whether a customer who bought something was directed there by the ads. However, Gan also noted that businesses with their own websites faced their own set of difficulties, such as shaky and inconsistent conversion rates, as well as fragmented features, due to different solution providers offering different levels of options and customisations. However, it is highly measurable, and merchants are also able to build higher customer loyalty and build up a stronger database. Gan also clarified several misconceptions about Facebook advertising, advising attendees to not always target cold audiences, to not focus on the cost-per-click too much, and to pay attention to the customer journey funnel. Gan also reminded attendees that Facebook advertising should be contextual, and to apply detailed segmentation with specific targets for ads. To illustrate the customer journey, Gan broke it down into the marketing funnel. Cold audiences are defined as strangers who fit into the target market, but do not know your brand, and are the top of the funnel. Warm audiences are people who have high intent about your product or services, but are not customers yet. Hot audiences are either people who initiate checkout, or who have inquired/made contact. These include past customers as well. At the bottom of the funnel is the level where audiences are loyal customers, and this audience is the one to create lookalike audiences of for Facebook marketing. Gan then put this illustration in the perspective of a marketplace merchant and a website merchant, comparing two separate case studies. For the marketplace merchant, he noted that there was a large chunk of data missing, starting from the cold audiences to the hot audiences, which is “a lot of useful data that is missing”. One tool he noted that was an advantage of website owners is a Facebook pixel, which is code that can be placed on a website, which helps to track conversions from Facebook ads, optimise ads based on collected data, build target audiences for future ads, and remarket to qualified leads. After collecting the data and illustrating the customer journeys, the data can then be used to create detailed audience segmentation, and Gan used a case study to explain the detailed audience segmentation and strategy that he suggested, which covered four campaigns based off of the data collected by Facebook Pixel. Gan also explained how the campaigns targeted each portion of the customer funnel through ads that are geared towards each segment. After that, Gan went over a case study of a business to show how a business can calculate their ROI. He suggested Facebook Analytics as a tool to observe patterns in purchases and marketing. This, Gan noted, is also the point where businesses have to ask questions like the rate of repeat purchases from customers, which varies depending on product, as well as the repeat cycle duration. For B2B businesses, Gan noted that it is both “more straightforward and more work” compared to e-Commerce businesses. He noted that B2B businesses have a longer conversion window (takes longer for businesses to make a decision compared to an individual), longer repeat sales cycle (one cycle is longer, with contracts leading into months), and a stronger focus on lead generation, as lead nurturing is a key success factor. Gan then discussed a case study of a B2B business, which ran all its advertising on Facebook, with a 3% conversion rate (quite successful, since each conversion is to the tune of more than RM10,000). Gan then discussed the detailed audience segmentation and strategy he had proposed for the case study, and explained the role of the campaigns and how they targeted a different segment of the customer funnel from the perspective of a B2B business, which focused on generating web traffic and nurturing leads. 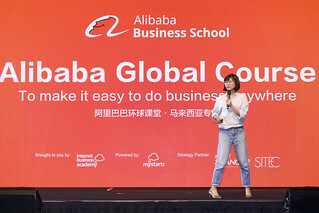 Gan then spoke about optimisation options for Facebook marketing strategies, such as running A-B split tests across target audiences, optimisation methods, ad placements, and ad contents, to better narrow down how to best connect to certain target audiences. Landing pages also should be optimised, for a better user experience, thus increasing the likelihood of conversion and sales. Businesses should also be asking themselves how they want to increase the Customer Lifetime Value of their target audiences. Zakki Abdul Jabbar of MyParcelAsia shared about their logistics service, noting they are like “the Agoda of courier services”. Their services include door-to-door pickup with Pos Laju, eliminating queuing and waiting at Pos Laju stations, as well as easy management of logistics and tracking numbers, with simplified and automated steps in seeking courier services for SMEs. At the same time, users can also analyse data for their business, and plan marketing campaigns based on target audiences in different locations.